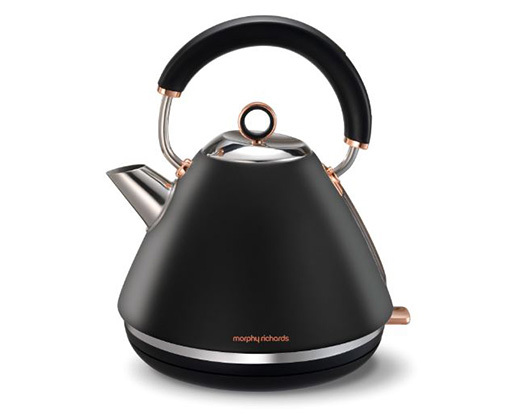 Home Products Morphy Richards Kettle 360 Degree Cordless Stainless Steel Black 1.5L 2200W "Accents Rose Gold"
Morphy Richards Kettle 360 Degree Cordless Stainless Steel Black 1.5L 2200W "Accents Rose Gold"
A stylish traditional design meets a sleek black stainless steel body with the Morphy Richards Black Accents Kettle. Boasting a massive 1.5L water capacity and a 360° connector for both left and right handed this beautiful masterpiece a must have for every kitchen. Stainless steel body with high quality paint.